Surfing legend Ian “Kanga” Cairns is arriving to the Torquay Books on April 16 to launch his new book Kanga: a sports biography, adventure and surf history in two volumes. WAVE lovers and surfing fanatics can rejoice with the launch of legendary Ian “Kanga” Cairns’ book Kanga – a sports biography, adventure and surf history in two volumes. Surfing legend Ian Cairns won seven majors on the world tour then formed the Associate of Surfing Professional (now the World Surf League); he was fearless on the North Shore of Oahu in Hawaii and arrives to the Torquay Books on April 16 for the launch. 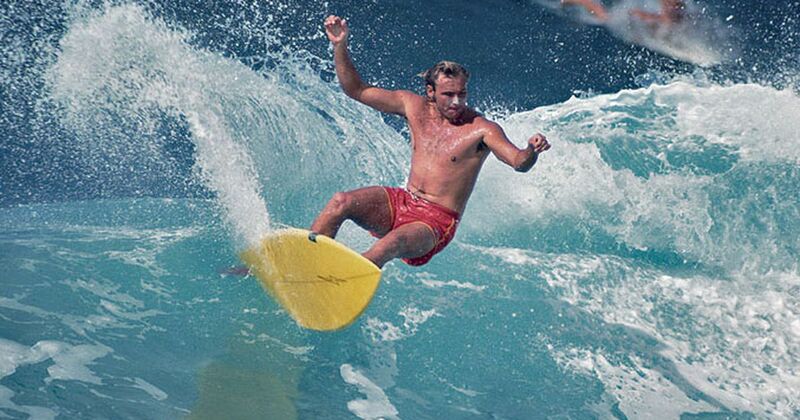 In the 1970s Cairns and professional surfers dreamed of being recognised as legitimate sportsmen, in Kanga they tell how it became reality; Volume One is set in Australia, South Africa and Hawaii’s awesome North Shore. Cairns features with other surf legends as they provide a detailed narrative of surfing’s transformation from the druginfused hippy era of the late 1960s, to a fledgling world tour in the late 1970s. Volume Two charts the spectacular fall and resurrection of Cairns in the USA as surfing becomes a multibillion-dollar industry with Olympic Games status. Cairns said he was looking forward to the book launch and catching up with his fellow pro surfing pioneers he competed with at Bells years ago. “Since its inception every pro surfer has wanted to perform well at Bells during Easter because of its heritage, those Bell trophies are the most sought-after silverware,” he said.